(AFP) President Donald Trump paid tribute Tuesday to the “heroes” who fought back against hijackers on September 11, 2001, vowing he would do whatever it takes to keep America safe. Under a gray sky in Shanksville, Pennsylvania, Trump praised the courage of the 40 men and women aboard Flight 93 who rushed the four hijackers who had seized control of the plane and diverted it towards Washington. “The passengers and crew members came together, took a vote, and they decided to act,” Trump said. After calling their loved ones to say final farewells, many passengers aboard Flight 93 are believed to have charged the hijackers and prevented the plane from striking the US capital. The plane crashed into a field in rural Shanksville, where a permanent memorial called the “Tower of Voices” has been erected. “This memorial is now a message to the world. America will never, ever submit to tyranny,” Trump said, noting that nearly 5.5 million Americans had joined the US military since 9/11. A short while earlier in Trump’s native New York, there was a minute’s silence at 8:46 am (1246 GMT), the moment the first of two hijacked airliners struck the World Trade Center. New York Governor Andrew Cuomo, the US ambassador to the United Nations, Nikki Haley and Mayor Bill de Blasio, together with his predecessors, Michael Bloomberg and Rudy Giuliani, were among those who attended. “It is not a day to give speeches, it is not a day to talk about politics. It’s about the heart,” said Alice Greenwald, director of the 9/11 Memorial Museum. In what has become an annual tradition, relatives began reading out the long list of those who were killed, saying a few words about those who died, in a ceremony that takes longer than three hours. In all, four planes were hijacked by Al-Qaeda militants who used them to topple the trade center’s twin towers and hit the Pentagon. 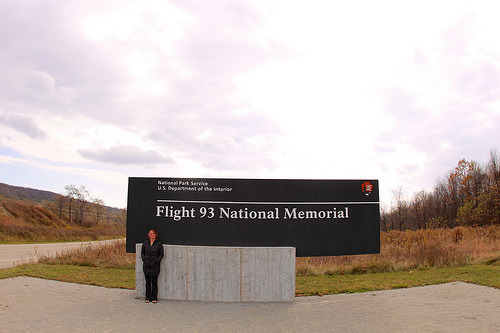 Flight 93 was the fourth plane. With 2,996 people killed and more than 6,000 injured, the attacks remain the deadliest ever on US soil. They plunged the United States into a chain of rolling wars against Islamic jihadists. At the Pentagon, a huge American flag was unfurled over the building’s western side at sunrise, marking the spot where Flight 77 smashed into the military headquarters. All 59 passengers and crew aboard the flight were killed, along with another 125 personnel working in the building. During a ceremony at the Pentagon’s 9/11 memorial site, where the names of the fallen are etched into a series of benches, Defense Secretary Jim Mattis said those who died did not do so in vain. “For in their passing they empowered us forever. And we remember that hatred, disguised in false religious garb to murder innocents, will not prevail,” Mattis said. In addition to those killed on September 11, thousands of first responders, construction workers and residents have since developed illness, many of them terminal, as a result of inhaling toxic fumes.